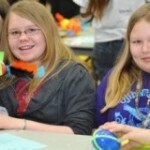 More than 250 middle school students from across the western Upper Peninsula will spend the day exploring the excitement of science and engineering fields during the annual Get WISE (Women in Science and Engineering) event on Tuesday, February 23, 2016, at the Wood Gym in Michigan Tech’s Student Development Complex. For more than 25 years, this event has brought seventh and eighth graders from 15 schools to campus for a day of hands-on activities, scientific challenges, talks with female role models and more. The girls will also have opportunities to meet female role models enrolled in graduate and undergraduate programs at Michigan Tech, as well as staff members from widely varying campus departments. The students will be able to hear stories about what shaped their career paths, and ask questions of these successful STEM women. Get WISE is hosted by the CPCO office in partnership with the College of Engineering, the College of Sciences and Arts, and the Western Upper Peninsula Center for Sciences, Mathematics and Environmental Education. Read more at ABC 10 UP News, by Rick Allen. WJMN-TV Channel 3 and WBUP-TV Channel 10 broadcast stories about the Get WISE program that brought 250 middle-school girls to Michigan Tech for a day of hands-on science and engineering. Get WISE stands for Get Women in Science and Engineering. Moosewatch for Educators is a unique field experience in support of the ecological study of wolves and moose at Isle Royale National Park. Educators will receive the technical instruction needed to participate as a member of a backcountry research team collecting moose bones and performing field necropsies on moose kill sites. The research team will be operating in an off-trail wilderness setting involving travel by canoe and foot. They will learn research methods, backcountry navigation, and wilderness living skills. The course will integrate aspects of earth science, geography, anatomy and physiology, and general ecology and mathematics. Moose pathology and anatomy will be an integral instructional component of the program. Participants will provide oral presentations about their experiences (at the end of the field course) as well as develop lesson plans off-site for use at their local schools. Learn more and apply at Teacher Professional Development Summer Institutes. Associate Professor of Psychology Shane T. Mueller announces that Volume 3 of the JMUBR (Journal of Midwest Undergraduate Behavioral Research)—an on-line journal dedicated to the research projects conducted by our undergraduates in PSY 3001 – Experimental Methods and Statistics II—has been published. This was research conducted in Spring 2015. Research that spans disciplines of cognitive, perceptual, social, moral, health, sports, clinical, and personality psychology. A study on how for some types of behaviors, legality is an important factor in whether people judge them as moral. 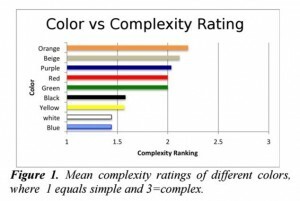 Two studies investigating the interaction of color and memory. A study of the perceptions of how LBGTQ students on campus are viewed, both within and outside the Greek system. A study on how college students balance financial pressures with convenience and health in making decisions about what they eat. A study on the types of factors that may contribute to false memory. A study on the factors that motivate student athletes. A study of bullying and anti-social behavior in online and multiplayer video games. Dr. Gillian Roehrig, Professor and Director of Graduate Studies in Science Education at the University of Minnesota, will demonstrate several novel ways to engage students, including Concept Mapping, Photo-Elicitation Interviews (PEI’s), and the use of Socio-scientific Issues (SSI’s). Learn more and register at the Center for Teaching and Learning. The institute will introduce teachers to the field of sustainability through examination of product life cycles, product recycling, repurposing materials, renewable energy sources of wind, solar, and biomass, designing energy- and resource-efficient buildings, site designs to reduce storm water runoff and increase biodiversity, and efficient transportation systems and vehicles. The institute will address the Next Generation Science Standards and be taught by a variety of Michigan Tech University faculty and graduate students, along with community and teacher experts. Cost: $400 off campus includes five lunches, 2 MTU graduate credits and instructional materials. $700 on campus includes five nights lodging & meals from Monday morning through Friday lunch, 2 MTU graduate credits and materials. Teachers gain skills in designing original research, rather than merely conducting cookbook experiments. Teachers will learn research design methods and procedures, and participate in a variety of research field and lab studies. Cost: $400 off campus includes five lunches, 2 MTU graduate credits and instructional materials. $700 on campus includes 5 nights lodging & meals from Monday morning through Friday lunch, 2 MTU graduate credits and instructional materials. This 5-day Institute will prepare you to engage your middle and high school students in a real-world study of the effects of global change on ecosystems, including the impacts of climatic change on forests— elevated carbon dioxide and ozone levels, nitrogen saturation, acid rain, and invasive species. Teachers will participate in the MEECS Climate Change workshop and receive the NEW MEECS Climate Change Unit. Cost: $400 off campus includes five lunches, 2 MTU graduate credits and instructional materials. $700 on campus includes 5 nights lodging & meals from Monday morning through Friday lunch, 2 MTU graduate credits and instructional materials. Another faculty member helping out Jan. 23 was Kelly Steelman, an assistant professor in Tech’s department of cognitive and learning sciences. She’s been working with the program for a year, but she didn’t originally intend to become a tutor. Instead, she entered her first session hoping to gain insight on where to take Tech’s program, and see if there were technologies that could be developed to help older adults interact with technology, or to help the student tutors help others. “I’m really interested in how people use technology, how they pay attention, and how we can get them to find the things that they’re trying to find and design technology in such a way that people aren’t getting lost,” she said. The Free Sale is coming. Consider donating gently used, clean women’s business clothing and accessories (hangers are appreciated, all sizes welcome) for the Free Sale prior to the Spring Career Fair February, 16. Your items will be available to all Tech students at no cost. Items remaining after the event will be either donated to a local non-profit or held for a future event. This is the third “free sale”—a give away of gently worn women’s business clothing for students. We had great success with the first two events last year, helping more than 100 students and giving out more than 95 percent of donated items. Everyone walked out with something. We plan to hold another event for our students from noon to 3 p.m. Sunday, February 14, at the Meese Center. We are asking for your donations. Also look for the drop off box in the library during Winter Carnival, Thursday through Sunday of this week. From Tech Today, by CLS.